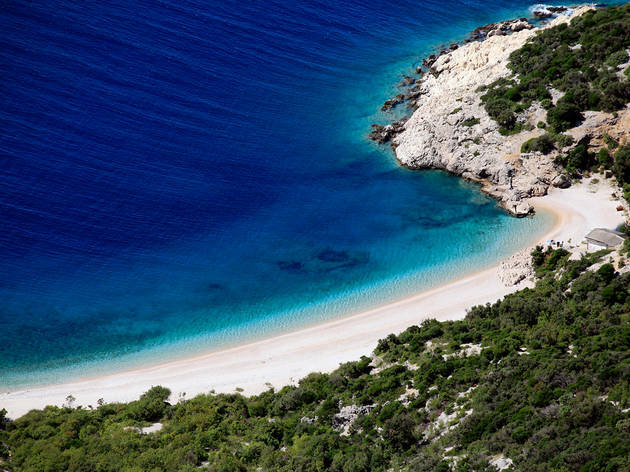 To explore Croatia by sea is to reveal its true secrets. 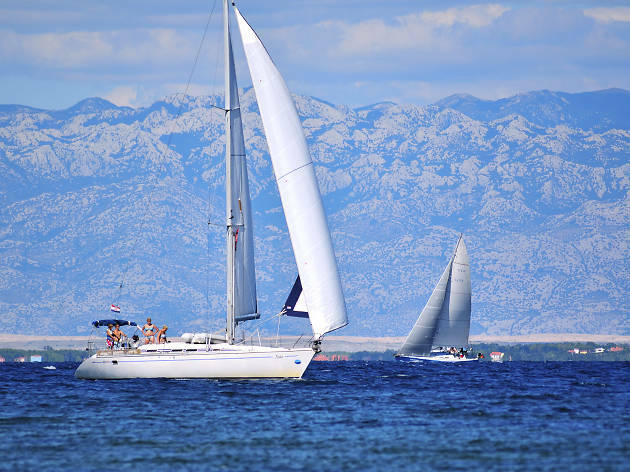 Croatia has it all - the range of sailing options, the spectacular scenery, the unspoiled bays, the myriad islands and, most importantly, clear, calm and clean waters around them. Europe's finest sailing playground is a little over two hours from London. It's affordable, relatively safe (at sea and on shore) and contains a diversity of destinations for sailing routes that are amenable to all. Novice sailors can charter a boat with a qualified skipper, potter around the islands, and find out as much, or as little, about sailing as they'd like. Those who are serious about learning to sail, or improving their skills, can take a course at one of the sailing schools. Sailors of varying abilities, wanting the security and bonhomie of a group, can join a flotilla holiday. If your party includes someone with a skipper's ticket there's a multitude of charter options, with yachts and motorboats, while high rollers can take a fully crewed luxury yacht, classic or contemporary, and cruise the party hotspots. It's surprising how much you can see in a week. The diverse appeal of Croatia's 2,000 islands, islets and reefs, together with the varied mainland ports and anchorages, will leave you wanting to come back for more. 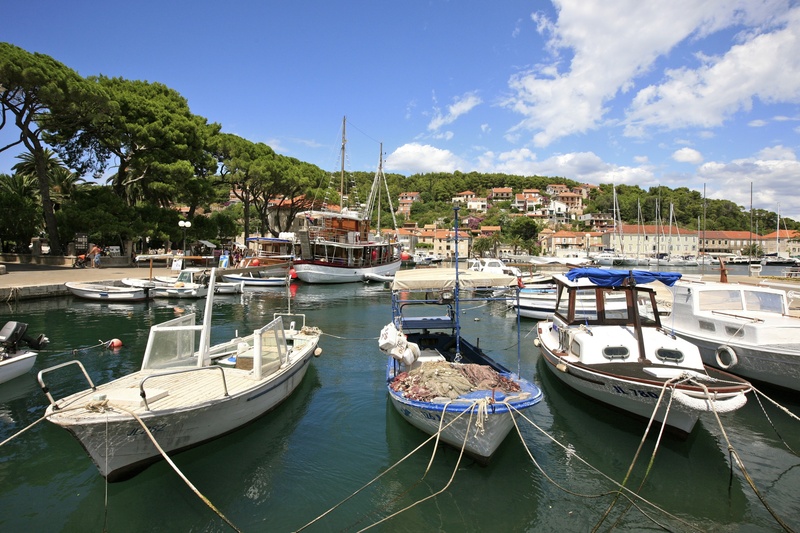 In the north, the Istrian peninsula and Kvarner Bay have a high concentration of marinas and a more cosmopolitan feel than Dalmatia, due to the pervasive Italian influence. If gastronomy and culture are important, this may be your cruising area. Stunning and newly popular islands such as Lošinj, Rab and Brijuni are a magnet for luxury yachts. What is lacking is Dalmatia's diversity and the sheer number of islands - exploration has fewer surprises than down south. 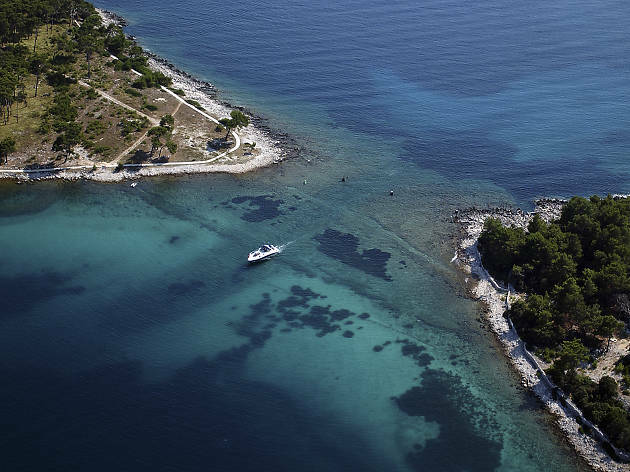 Kornati is easily reached from the marinas at Zadar, Biograd and Murter. For tranquil wilderness, start from here. 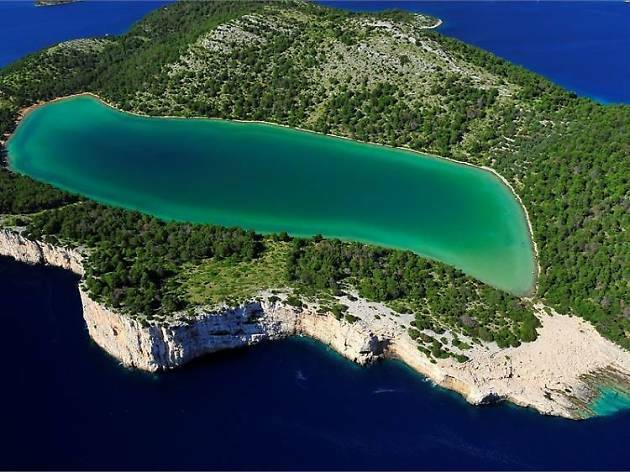 With its 152 islands, islets and rocks, the Kornati archipelago is the densest group of islands in the Med. It can be tricky sailing, and the navigator will be working hard counting off the islands and watching out for rocks, but for peace and quiet, it's hard to beat the rugged lunar landscape and deserted bays. It's also something of a gourmet's paradise, with some notable restaurants geared to provide passing sailors and their passengers with good grilled sea bass or steak. 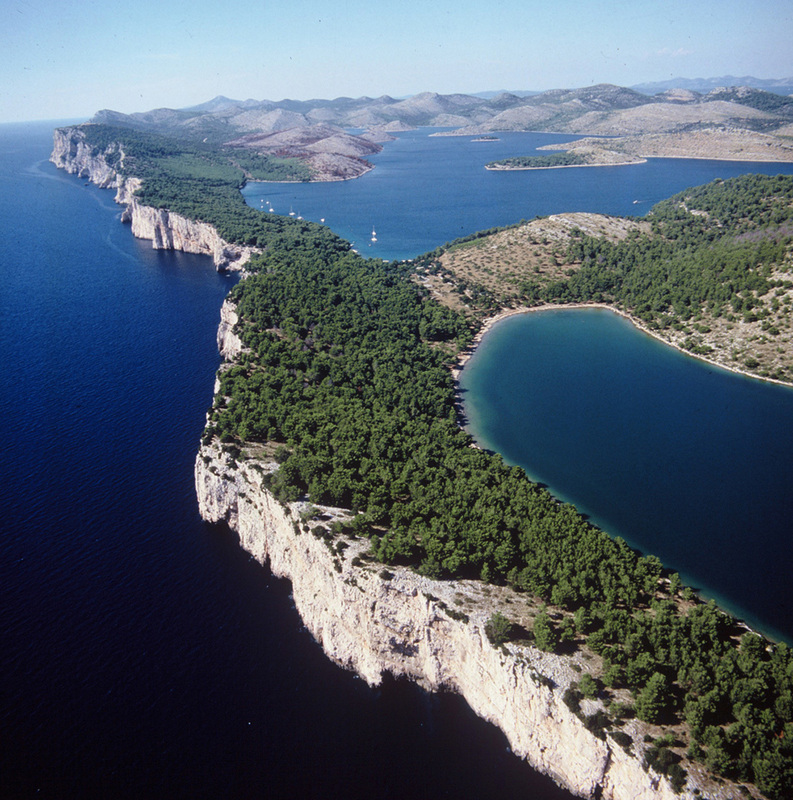 The islands around Šibenik are pretty special too - less barren and remote but still largely undiscovered. On the mainland, Skradinís ACI marina, 12 kilometres (seven miles) upstream from Šibenik, on the River Krka, is a favourite for sailors who want to explore the waterfalls. 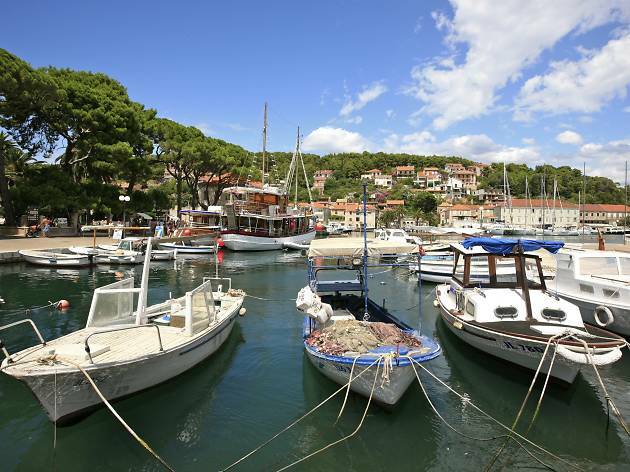 Tribunj Marina near Vodice and Marina Frapa are two of Croatia's classier marinas, situated in quiet fishing villages. Croatia's first dedicated superyacht marina and resort area near Šibenik, Turkish-owned D-Resort, opened in summer 2015. Central Dalmatia meets the requirements of most holidaymakers, starting with the marinas and charter bases within easy reach of Split airport. Brač and Hvar are an easy sail away from Split. Scores of picturesque anchorages and village harbours lie peacefully between the busier and more discovered towns. For a longer sail there's the more remote but gentle island of Vis, and for a Dalmatian time warp try Šolta. High rollers should head to Trogir and Hvar town. After partying all night in Hvar, relax at the neighbouring Pakleni islands, the perfect anchorage to soothe the spirits. 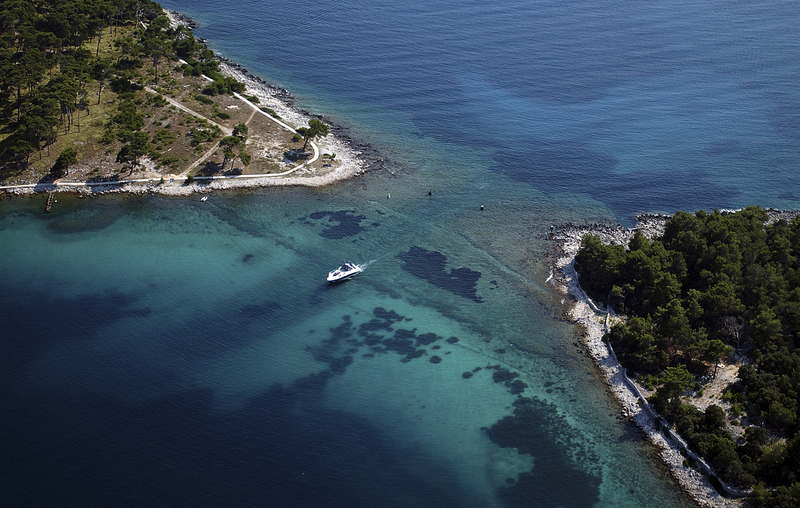 Further south towards Montenegro, Cavtat, on the mainland close to Dubrovnik airport, is another regular superyacht destination. 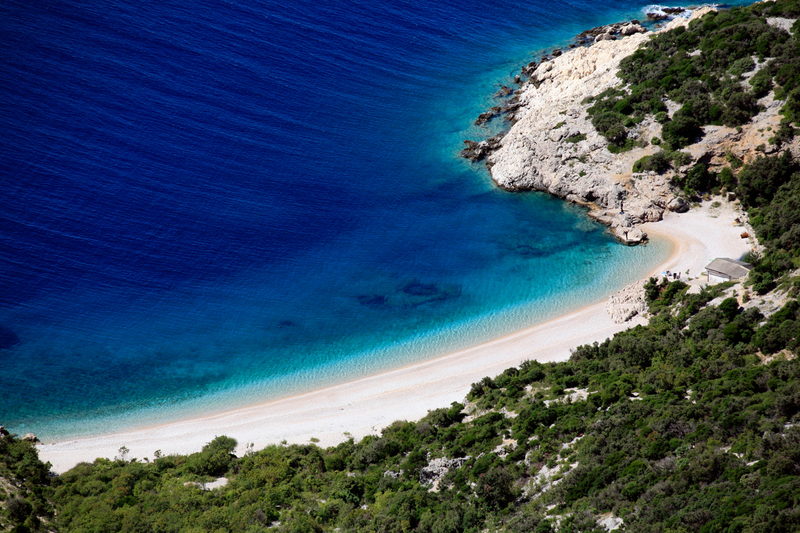 Pelješac is a favourite with experienced sailors for its weather conditions. The picturesque town of Korčula is a popular land-based tourist destination but the island has plenty more to offer. Mljet's saltwater lakes and large bays make for popular anchorages in summer; remote Lastovo has good berthing facilities for passing yachts and a number of restaurants. 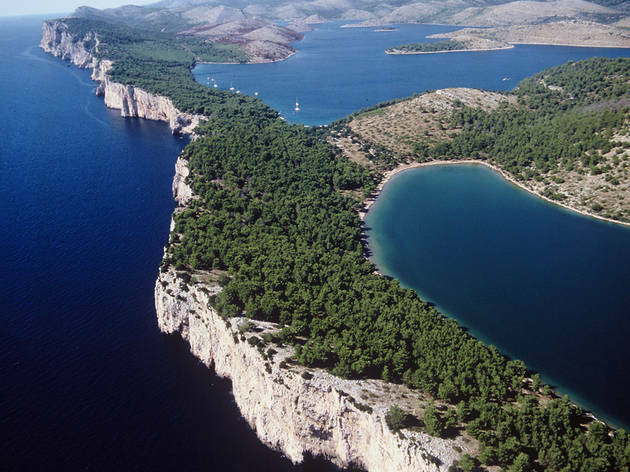 Close to Dubrovnik, Lopud and Šipan are islands to escape from the metropolis - for both sailors and ferry passengers. April and October or perhaps want to join in a winter sailing regatta. Most boats are surprisingly luxurious, with toilets, showers, electricity, gas, usually ample kitchen/diner space, comfortable cabins and plenty of room on deck to eat, drink, sunbathe and be merry. But where do you park? Do you choose marinas, village harbours or anchorages? Most people opt for a mixture. There are more than 50 marinas in Croatia, about half of them state-owned, recognisable by the acronym ACI. Planned and built ahead of its time, the ACI network ensured you could always find a safe haven almost wherever you were in the Croatian Adriatic. Now you're spoiled for choice but the demand for space is still high. Overnighting in a marina is great for improving the confidence of inexperienced crew and for a little extra comfort. Youíll be moored on lazy lines and protected by a breakwater that reduces the motion of the boat to a very gentle sway. Youíll always have access to toilets, showers, shore power and water, though the electricity and water supply may be restricted on the more remote islands. Often thereíll be a restaurant, shop and cafe, and sometimes you'll find nightclubs, swimming pools and other entertainment. Comfort costs money and most of the marinas have hiked their prices in recent years by between five and 15 percent. That said, Croatia is still good value compared with Greece and Turkey. The intangible cost is the change in atmosphere: one minute the waves are lapping against the sides of the boat, the wind is blowing out the sails and there's no one in sight; the next the skipper is wedging your floating hotel into a tight space between two loud boats full of partygoers. Be prepared. On the other hand, thereís nothing like being lulled to sleep by nature and waking up in the morning in glorious sunshine to have a quick dip, off the back of the diving platform, in your own bay. Your charter boat will have a tender (a rubber dinghy) to get you to the shop or restaurant ashore without getting wet. You'll have the choice of paying extra for an outboard motor if you don't have the energy to row. Anchoring can be idyllic but occasionally novices find it hard to get used to. A local skipper will know the best bays given the prevailing conditions and your preferences. Otherwise, consult a good cruising guide and check the charts. 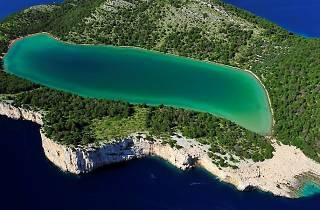 In some anchorages, particularly Kornati and the Zadar area, someone will come round and collect a fee. Very occasionally, a local entrepreneur may also try to charge for anchoring, so politely check credentials. also have lazy-line berthing on pontoons, sometimes with electricity and water. Croatia has practically no tidal differences to worry about and only occasional strong currents, in channels or at river mouths. Summer weather is normally calm and sunny, though you will get the odd thunderstorm roughing up the sea. Croatia's Meteorological and Hydrological site has detailed weather forecasts on the Adriatic in English. The mighty Bura wind from the north-east is usually only a problem in winter but deserves respect year round. Weather forecasts in English are easily available at marinas, from the harbourmaster or on the radio, and locals are always happy to fill you in on climate tips. The cooling Maestral wind is predominant in summer but you may end up motor sailing for a few days if winds are light. At most marinas and ports and in many bays with piers, using the lazy line is the standard method of berthing. Normally, when you approach a destination with lazy-line berths, someone comes to meet you on the quay or pontoon and holds up a rope. Heading in forwards allows for a little more privacy on deck but most prefer reversing in - it's easier to get on and off for a start. So, heading in backwards, someone stands at the back with a boat hook (normally supplied), picks up the raised rope, walks with it along to the front of the boat, pulls it in and secures it to the cleat on the front. Simultaneously, two other members of the crew should be ready at the back of the boat with coiled ropes, already tied to the cleats on both sides of the back end. The ropes should be passed under the bottom rail and back over the top rail towards you so that when you throw the rope, it pulls directly on the cleat and not over or under a rail. As the boat reverses in, throw one rope to the person on land who's helping you berth and he will secure it; then throw the other rope. It's worth practising the throw a little to measure the weight of the ropes and to avoid hitting anyone in the face or chucking the ropes straight in the water. Don't worry though if you make a mistake - the locals have seen it all. Book early, shop around and avoid the peak months of July and August. Check the charter company small print for extras - final clean, an outboard motor for the dinghy, extra sails, towels, and so on; and make absolutely sure your boat has a bimini, a cockpit cover for protection against the sun. You also need to budget for fuel, onboard provisions, flights, transfers, eating out and the odd night at a hotel if you canít get your flights to coincide with the charter period, which normally runs from Saturday to Friday. For novices, a basic one weekís charter of a Bavaria 46, from BavAdria Charter, with plenty of room for four people and a skipper, will cost around €2,500 in late September and around €3,500 in late July/early August. A skipper will cost €125 per day plus food and if you stay in a marina every night, allow around €70 per day (double for a catamaran), though some of the town and village ports are well equipped and much cheaper. Only some anchorages charge a fee. One Stop Sailing offers RYA courses at Split and caters for singles as well as families and groups. Depending on the level and the time of year, the price per person per week starts from around €650. Flights, transfers and evening meals are excluded but you won't need to dig into your wallet for much else. 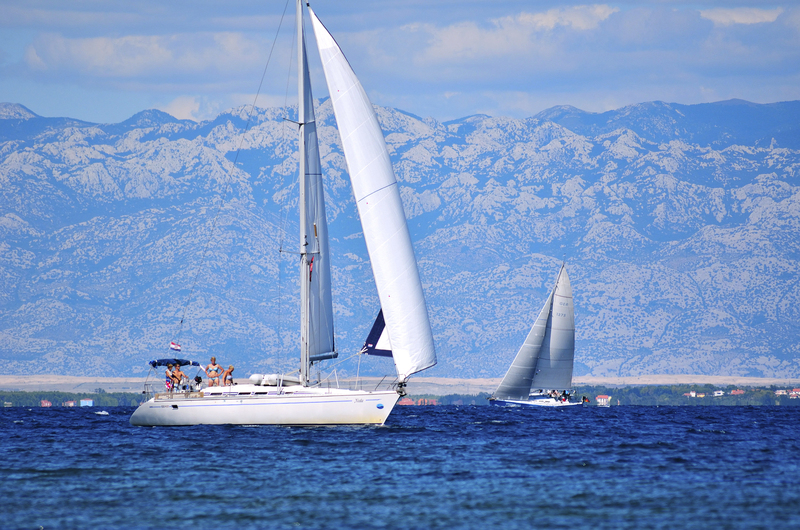 Sunsail organises regular flotilla getaways around Dalmatia. The price goes up or down according to the size of yacht and how many are sharing it. If you don't need a skipper, take your pick from the yachts and motorboats. An Elan 333, just over ten metres in length, provides ample space for two and is relatively easy to manage. A week in early September, chartering from Feral Tours in Zadar, costs around €1,250 before discounts; €1,600 in August. In a recent development, Sail Croatia has instigated party boats for the 21-35 age group, with disco lights, fog machine and outdoor bar. Its 44-passenger Maestral calls in at club hubs down the coast. For jet-setters, there's even more choice, with many charter companies offering larger yachts and motorboats. Ocean Blue can charter you a Sunseeker Predator 95 in an all-inclusive weekly package but you'll be looking at something approaching €90,000. For yacht and crew only, itís nearer €65,000. A classic Galatea yacht is around €40,000 a week in peak season from Exclusive Travel. Dalmatian Destinations has some of the largest yachts in Croatia for charter. Modern yachts and motorboats are designed to maximise storage space but leave your rigid suitcases behind and pack everything in fold-away bags. Sunscreen, shades and a hat are essential; long-sleeved shirts and a warm jumper are advisable; waterproofs hopefully won't be necessary but can be a godsend if you're unlucky with the weather. Plastic, rubber or jelly shoes protect against stony beaches and sea urchins, whose spikes are painful but not life-threatening. Charts and guides are provided but check if snorkelling gear is on board. Most charter boats will have a CD player. Lifejackets and other essential safety equipment are supplied, as are kitchen essentials.